Jill grew up in south central Nebraska and attended the University of Nebraska where she graduated with a degree in Dental Hygiene. After living in Kansas City for 11 years, Jill and her family moved to Chaska, Minnesota in 1999. 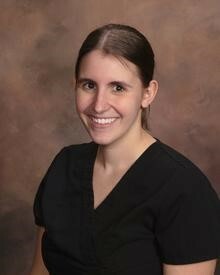 Jill has worked for Dr. Krumholz since 2007. 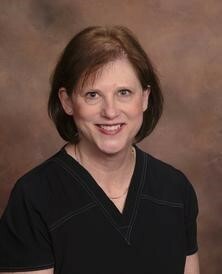 She states that she enjoys working with Dr. Krumholz because of “his calm and gentle demeanor. He puts the patients at ease, and they can be confident they are getting the best quality dental care possible”. She looks forward to spending time with the patients, and especially loves “hearing the great variety of knowledge and experience patients share with her at each appointment”. Jill enjoys spending time at her cabin with family and friends. She also enjoys quilting, crafting and reading. Most recently Jill and her husband, Larry, welcomed their first grandchild toward the end of 2018. As a Licensed Dental Hygienist, Jackie enjoys working with patients to achieve optimal oral health. “I love the science and education part of being a dental hygienist, especially the systemic link in relationship to your oral health and educating one prevention.” Jackie is a “lifetime learner". She recently completed her M.B.A in healthcare management. Jackie graduated with a B.S. in dental hygiene with honors at Minnesota State University, Mankato, after first completing an A.S. in dental Hygiene at Herzing University, when she now teaches hygiene students. She has worked with Dr. Krumholz since 2010. Jackie enjoys working with Dr. Krumholz because of his “passion and meticulous work”, stating that he is “equally concerned about the problems that present and future prevention”. Outside of work, Jackie is busy chasing her twins around with her husband. She is an avid Minnesota sports fan. In the summer, you’ll find her running or relaxing on a lake. 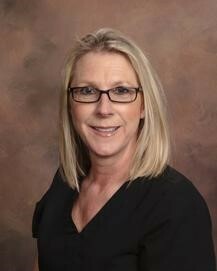 Sandy has been a practicing dental assistant for over 30 years, and has worked for Dr. Krumholz since 2009. One of her favorite things about this practice is “the relationships I have built with patients over the years. Many of our patients have come to this office since they were children and now bring their own children here. I love hearing about patients’ life milestones: children going off to school, getting married and having children, vacations…” Sandy loves spending time with her three grown children and her grandchildren. When not at the office, Sandy enjoys traveling, gardening, cooking and entertaining. She loves to explore the city, walking or biking around the lakes. 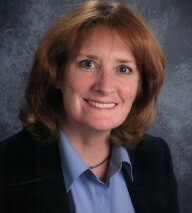 LaDonna is a face you may see filling in at the front office over the years. After 31 years of marriage to Dr. Krumholz, he finally trained her in to help in a pinch or during busy times. Her teaching, public relations and legislative affairs background brings organizational skills to help with the business and day-to-day operations of the dental office. Her favorite part of the job is visiting with patients, and hearing their life stories. When she’s not at the office, you’ll find her painting, exercising and enjoying the lakes. LaDonna and Mike are “empty-nesters” with three girls grown and scattered across the country.